Polymorit’s pedigree is founded on innovation. 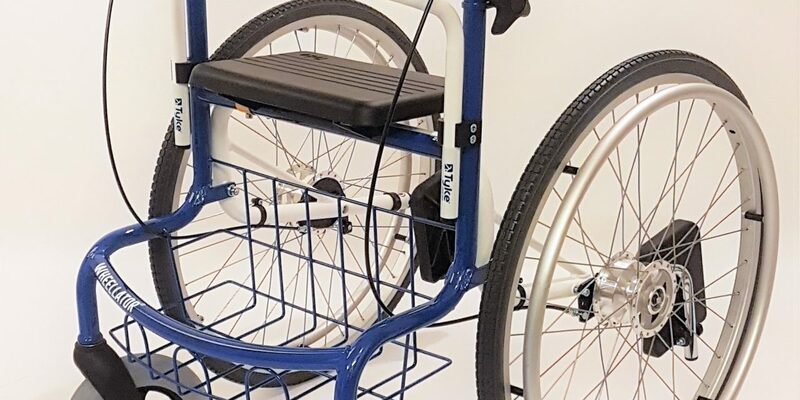 The early years of the company were spent developing bespoke products for moving and handling young people with special needs. 35 years ago, Colin Morritt, an experienced stair-lift engineer, received commissions from the Education Departments in Cumbria. Some of these products were commercialised and are still making a difference to the quality of life of thousands of people today. Polymorit’s unique products include the StandEasy, MediDisk, TurnEasy, BedBlocks, OneWaySlide Cushion and the JustGo Cushion. Polymorit especially focusses on the independent living sector, where their motto, Ability Solutions AT HOME, has particular relevance. 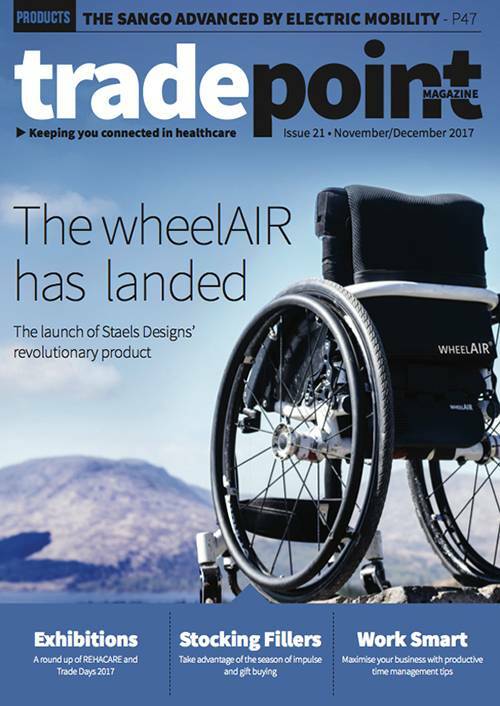 Recent product launches include the Universal Therapy System (UTS) Mattress, the Wheellator and the Airospring PRO range of Pressure Relief Optimised cushions. 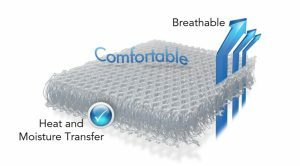 The UTS Mattress is a combination, alternating air pressure care mattress which harnesses the latest materials technology and electronics. This mattress covers all 4 grades of pressure care in one unit, from low risk through to very high risk. 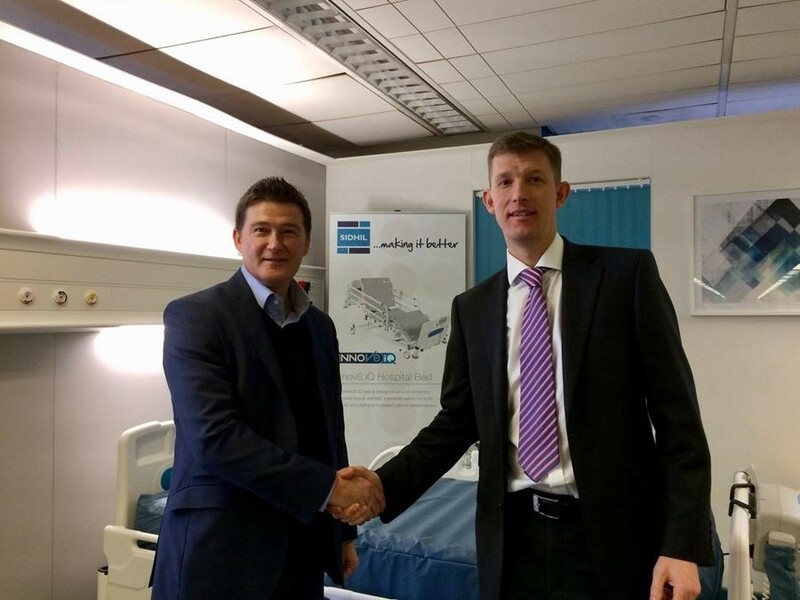 This will benefit hospitals and loan stores particularly, by cutting inventory, and eliminating the need to change the mattress throughout the care cycle of each patient. Added to this, for the first time, the pump is inside the mattress casing, providing air on demand. It is so quiet that you would hardly know it is running, meaning less disturbance for patients and other service users. The UTS mattress also boasts cell-in-cell technology, with foam in the lower section of each cell. This prevents the patient from bottoming out, therefore reducing the likelihood of harm. Finland is recognised for rugged product designs and engineering excellence. It is not by chance, that Tukimet Oy have created the amazing Wheellator and recently appointed Polymorit as their UK distributor. The Wheellator is a totally new concept in extended duration walking. 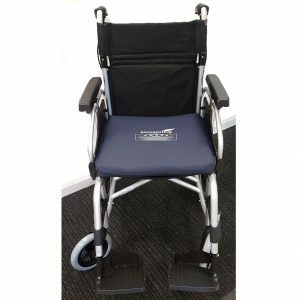 By giving the user the confidence of stability, manoeuvrability and safety, the Wheellator allows them to walk further. It has been built with sports therapy and rehabilitation in mind but can be used in many situations. 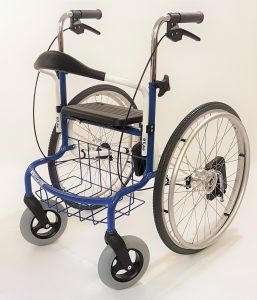 With standard PU swivel wheels at the front and large quick release wheels at the back, this is a product which allows the user to perch and rest, peddle or hand-propel as required. Those who suffer from Chronic Obstructive Pulmonary Disease (COPD) will find this product of special value, as the health benefits of walking are well documented for these conditions. 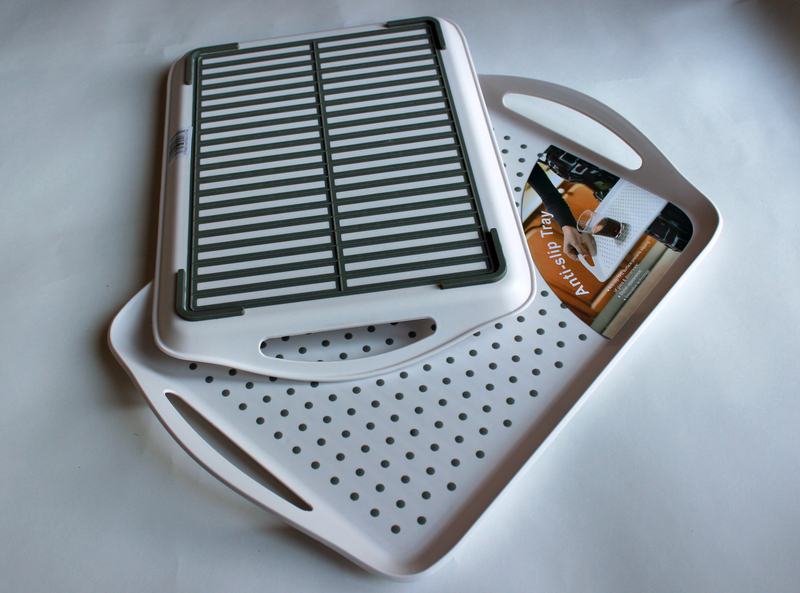 The Wheellator can be used indoors and outdoors giving the user the freedom to roam. 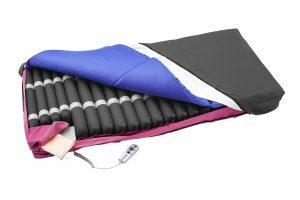 With the continuing need for innovation in pressure care, Polymorit is also distributing the Airospring PRO range of Pressure Relief Optimised cushions. 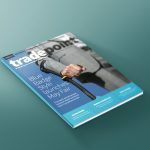 The latest textile technology and innovative design have gone into this product. These products are the subject of a collaborative development project with the University of Bolton. They are manufactured from 3D spacer fabric. Compared with the highest specification gels and memory foams, this material has significant benefits for the user. One of the main causes of pressure ulcers is moisture coming in contact with the skin. 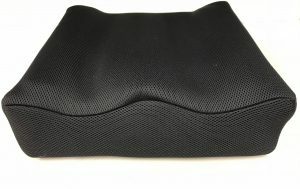 This is no longer a problem, as 3D spacer fabric is breathable and allows airflow throughout the cushion, keeping the user’s skin well ventilated at all times. Added to this, the fabric is isotropic which allows it to move in any direction, thus reducing shear on fragile skin. The cushions are extremely lightweight, 100% washable, and come with a waterproof, but breathable, PU cover for infection control and incontinence. Polymorit’s vision embraces the concept of a world where young and old, of all abilities, are nurtured and valued for their contribution to the fabric of our societies. Nowhere is this more important than where disability threatens the quality of life of individuals and carers. Polymorit were thrilled to be invited to support the first Living Lab in the UK, situated in Barnet and Southgate College. This adapted living space provides an environment where new, innovative products can be demonstrated within an assisted living flat. 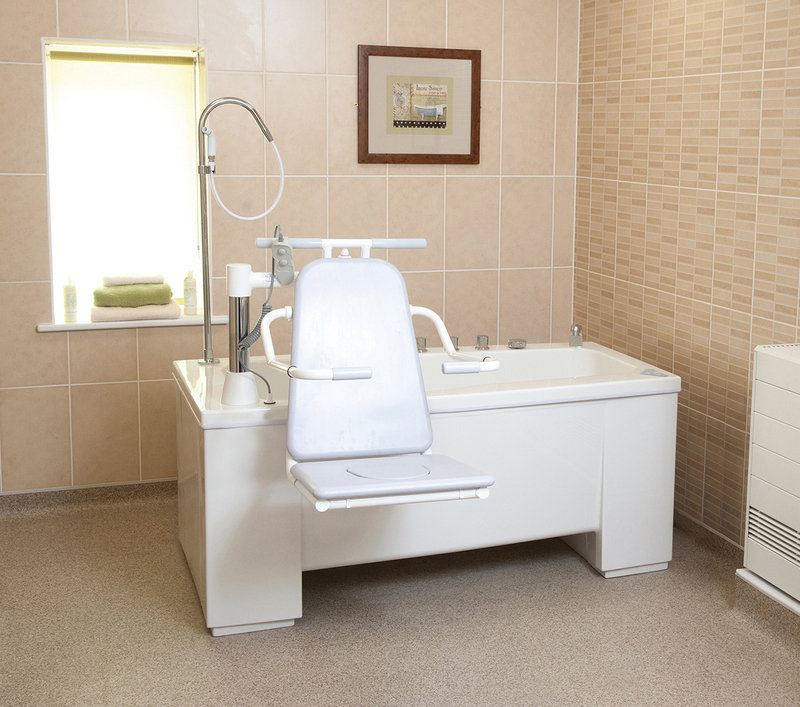 This gives carers, therapists and commissioning groups the opportunity to see and experience the products on display, to evaluate them and make informed decisions based on the usability and efficacy of each device. The Living Lab is part of the Centre for Excellence for Technology and Enhanced Care (CETEC), directed by Dr Firas Sarhan, who is passionate about bringing together industry experts and the caring profession. Polymorit is working very closely with specialist manufacturers, constantly looking for ways to enhance its range of premium products, through innovation and ingenuity. To find out more about the Polymorit range of products, please visit https://polymorit.com or follow Polymorit on LinkedIn https://www.linkedin.com/company/10743497/.